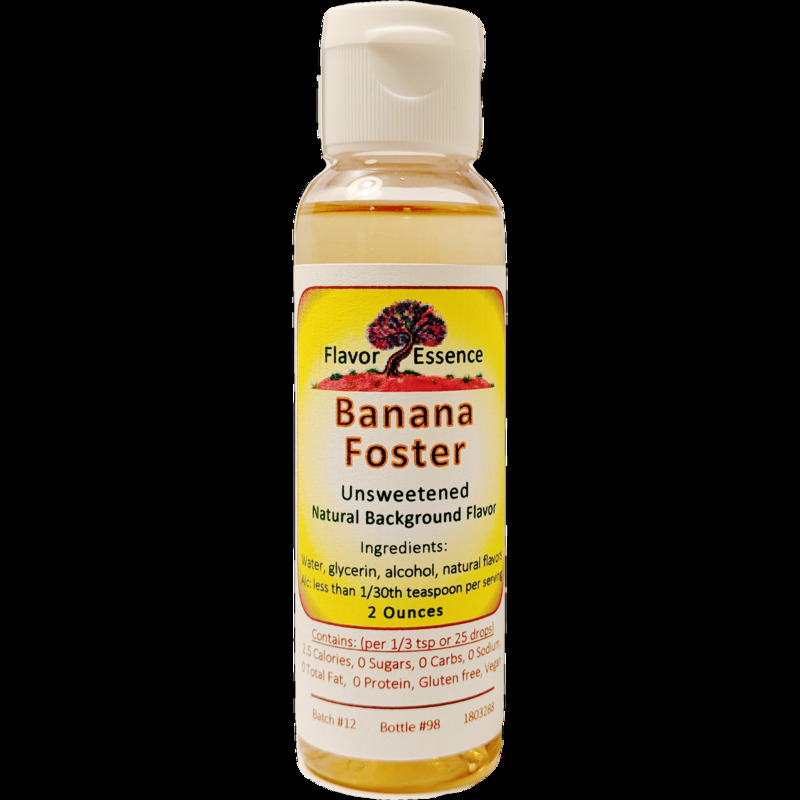 Banana Foster --Soft, fully-ripened bananas with nuances of buttery brown sugar and vanilla aromas and taste without any type of sweetener. With this new flavor recipe, we have finally pulled together the friendly, sweet, soft, ripe, perfumes and flavors you experience when a good banana goes past green and then into the softer ripe phase where its skin peels off easily and tastes plumper and more fruit-laden. (The owner here is a banana lover, and this recipe went through the most work, re-work and tweaking until the aromas and taste could only be beaten by actually aging and peeling a banana).